This past weekend, the OMS Cross Country team competed in the Clinton Maroon Invite at Little Galilee just outside of the host’s town. The varsity girls began the day in strong fashion with many personal records. Led by Chrystal C. in a time of 14:19, the girls captured a second place team finish just behind Saint Agnes. The varsity boys performed in similar fashion by running many personal records. Led by Logan D. in a time of 12:39, the varsity boys placed 4th out of 8 teams. Our girls open race was led by Sidney B. who ran a 15:30 for her season debut. Finally, winning the boys open race, Zach K. paced the field to a time of 14:03. Our student-athletes each ran a strong race and were rewarded for their hard efforts. 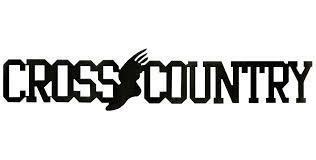 The varsity runners look to better their times this Saturday at the Washington St. Jude Cross Country Classic. Look for the rest of our runners to be back in action this coming Tuesday, August 28th at the Washington MS Invite. Go Spartans!